Nothing like decorating with houseplants to liven up an otherwise plain space. 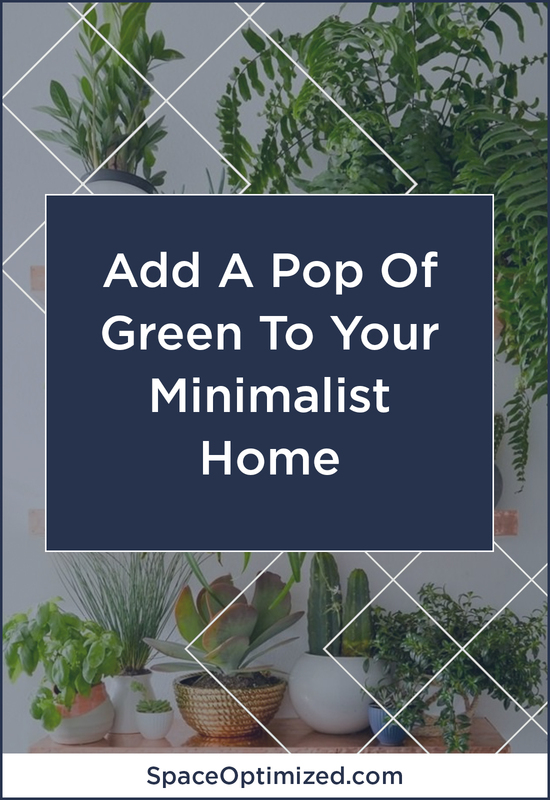 This goes especially for a minimalist house; a pop of green in the home makes a big, bold statement. 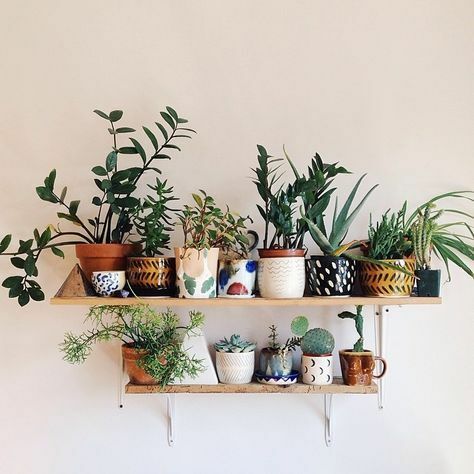 Adding houseplants to your living is also a great way to make your home feel even homier. 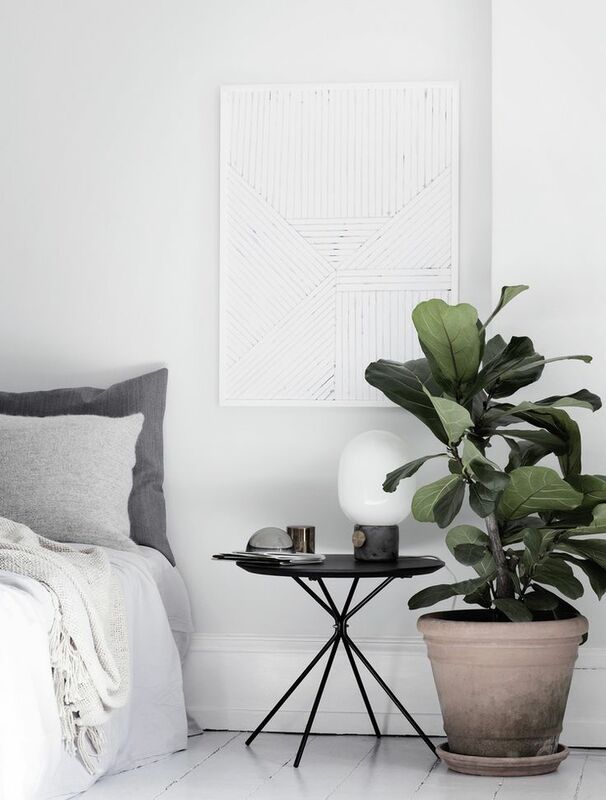 In Feng Shui, indoor plants help stimulate energy flow and promote positive changes in a living space. 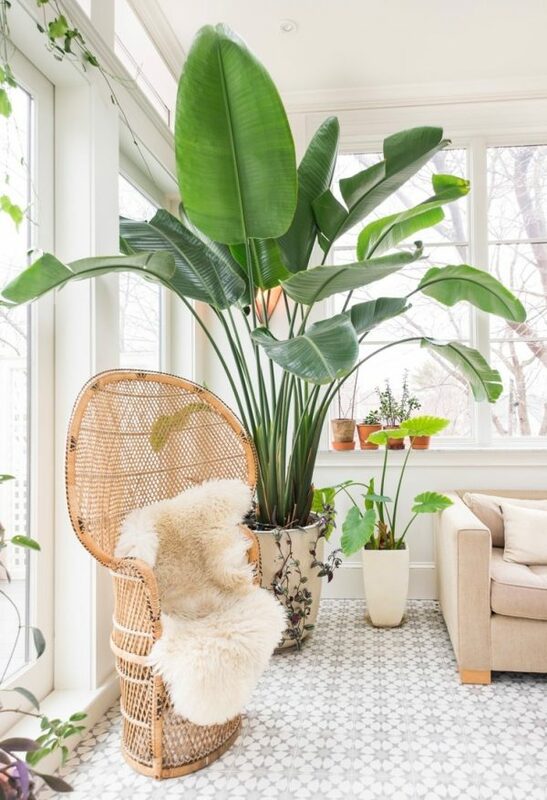 Start by choosing a statement plant, a strikingly tall and elegant houseplant that refuses to be ignored. Large plants instantly warm up any room. Tuck your statement plant in the corner of a room, perhaps in the living area where most guests gather. 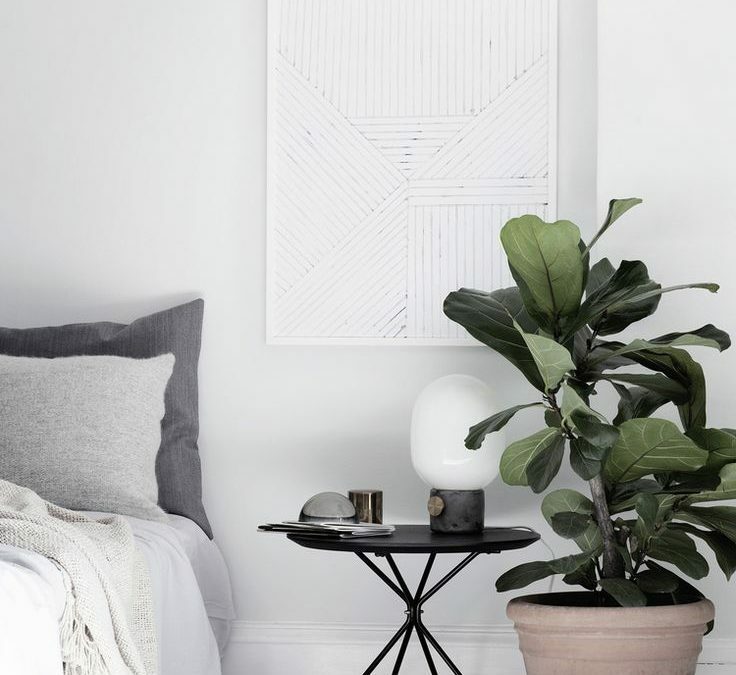 You can also place a big, bold, and beautiful houseplant right in the bedroom to make the bedroom look even cozier. 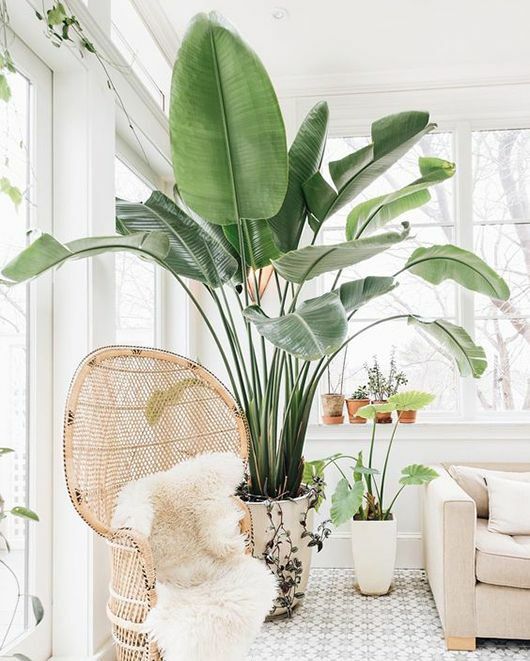 As far as choosing what statement houseplants to go for, the most popular are the Norfolk Island Pine, Philodendron, Ficus, indoor palms, and Fiddle leaf fig. Using unique pots to hold your statement plant is a great way to catch the eye. Succulents are popular indoor plants because they thrive in shady environments, they don’t need much water, and they are so easy to take care of. These plants don’t require much attention so they are perfect for lazy busy city dwellers who can’t handle fussy plants. Since succulents are quite tiny, you can use different types of succulents to introduce color and texture to a plain room. 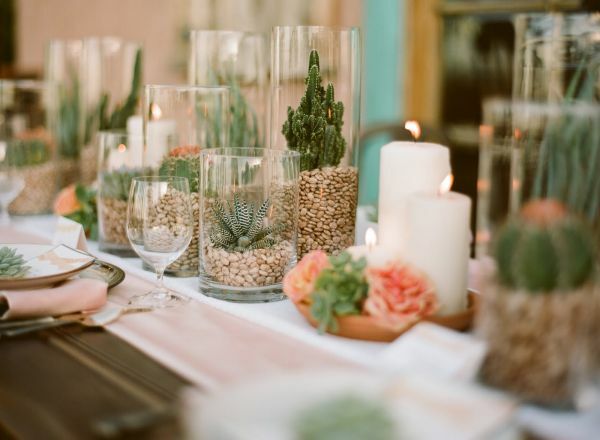 Place a few pots of succulents, cacti and/or terrariums on a table and you’ve got a striking centerpiece. 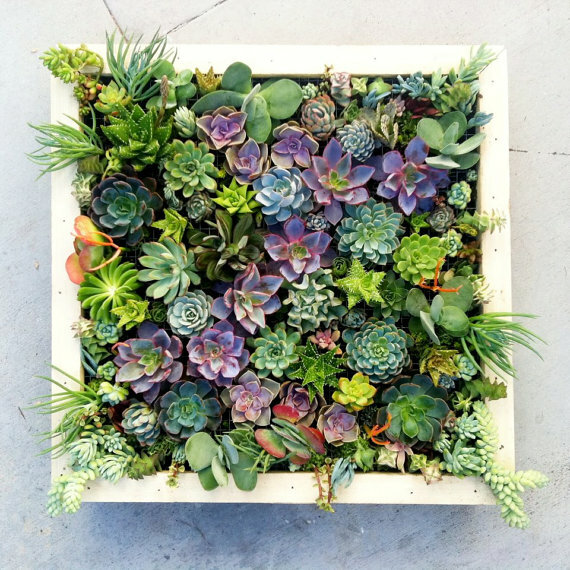 Go for an organic, laid-back look by placing succulents against a neutral or white background. 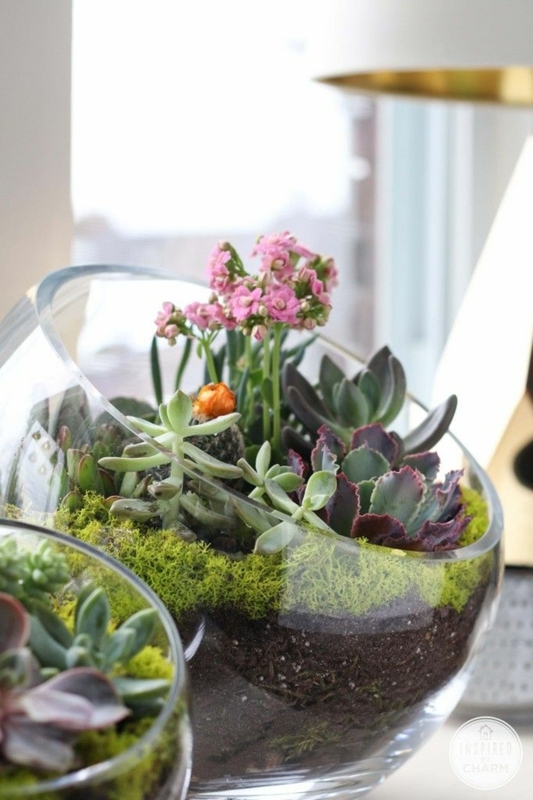 You can also use succulents to add vibrance to an otherwise sterile-looking kitchen or dining area. 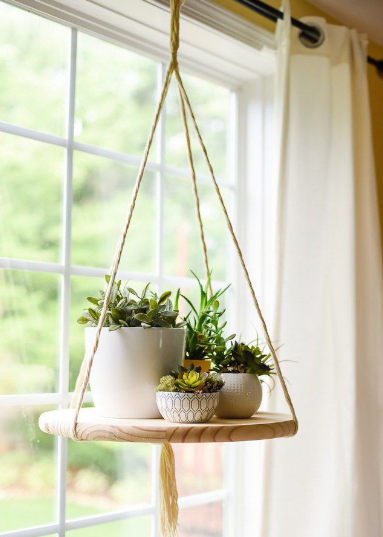 Experiment with succulents and cacti by hanging a few pots in the bedroom or living room for an easy-going Bohemian vibe. 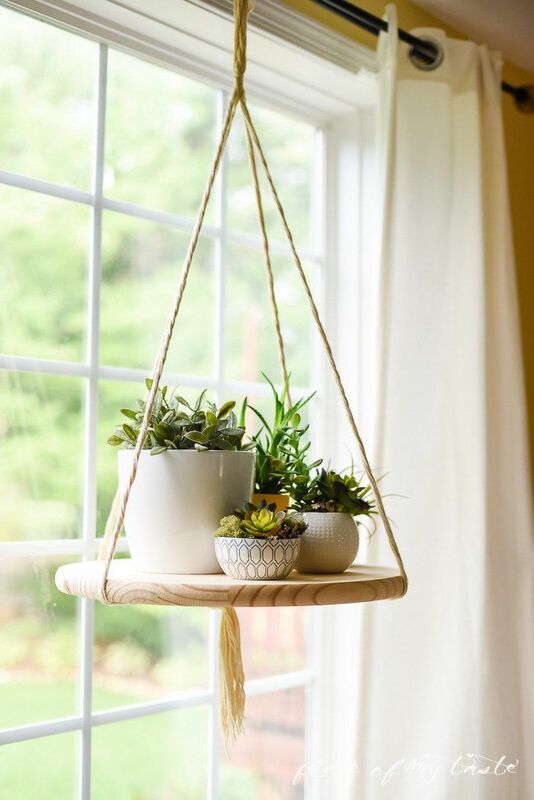 Styling with houseplants is so easy breezy, any flat surface could turn into a beautiful plant corner! Indoor plants look particularly lovely when placed on a shelf. 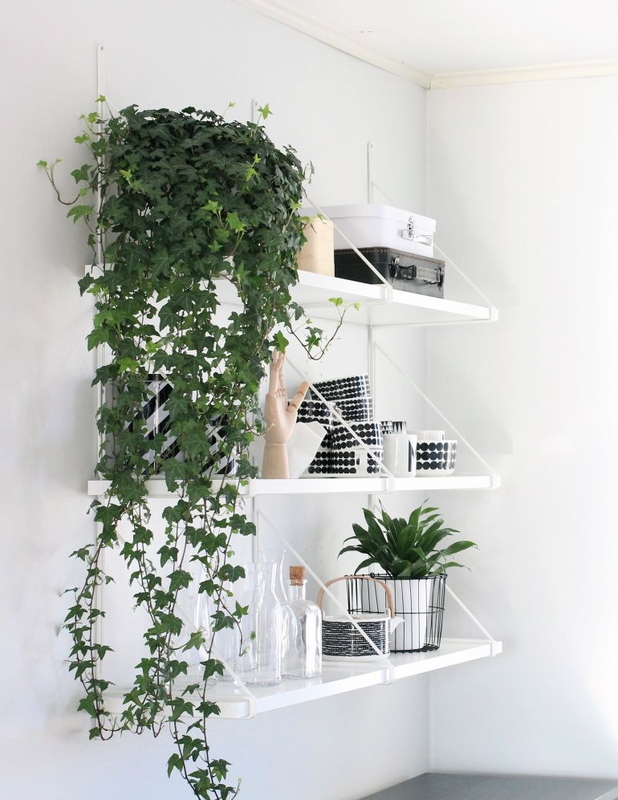 Experiment with different types of plants, use hanging houseplants or line ’em up on a shelf for an eclectic mix of greenery. 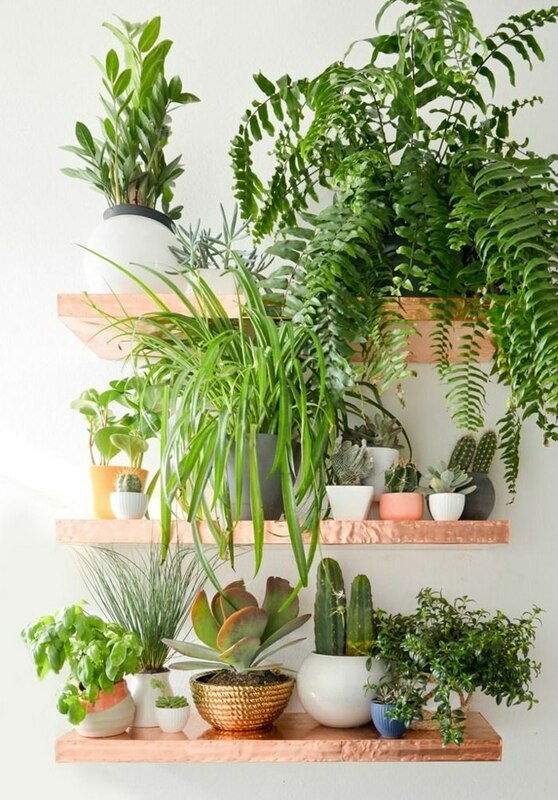 Turn bland walls into a stage that your indoor plants deserve! 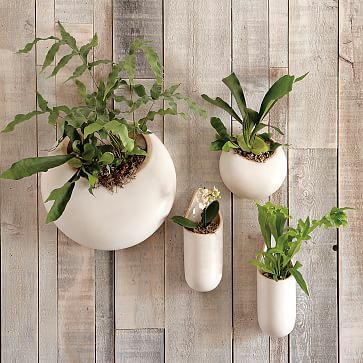 Create your own living wall art using a variety of houseplants and give any room a three-dimensional appeal. Depending on the look you’re going for, you can use hanging pots, plastic planter system or a wooden planter box to build your wall art. 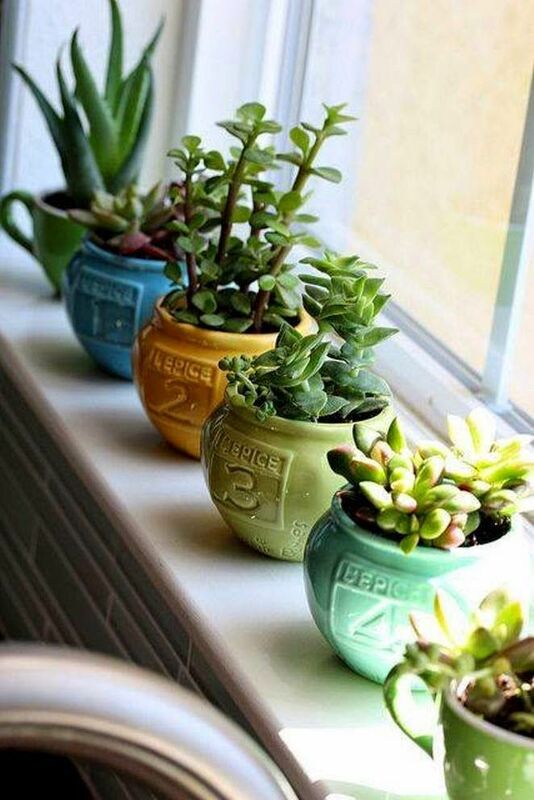 You can even make your own wall planters using mason jars, it’s easy! Here’s a simple tutorial to get you started. You can also make your own living succulent picture. 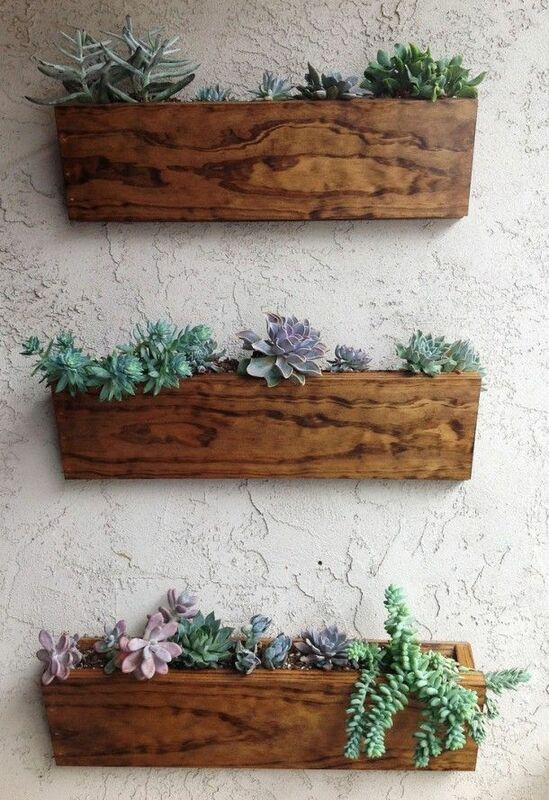 It’s a unique way to take your gardening on the walls and add personality to a minimalist house. Here’s a tutorial how. 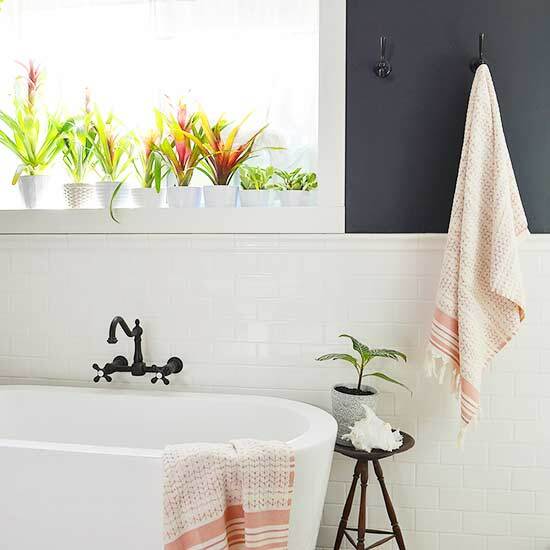 Did you know that the bathroom is the best place to grow tropical indoor plants? Some houseplants cannot grow in drier climates. The humidity and warmer temperature of the bathroom are perfect for plants that thrive in damp environments. Decorating with plants pack a lot of tropical punch, transforming the look and feel of any room! 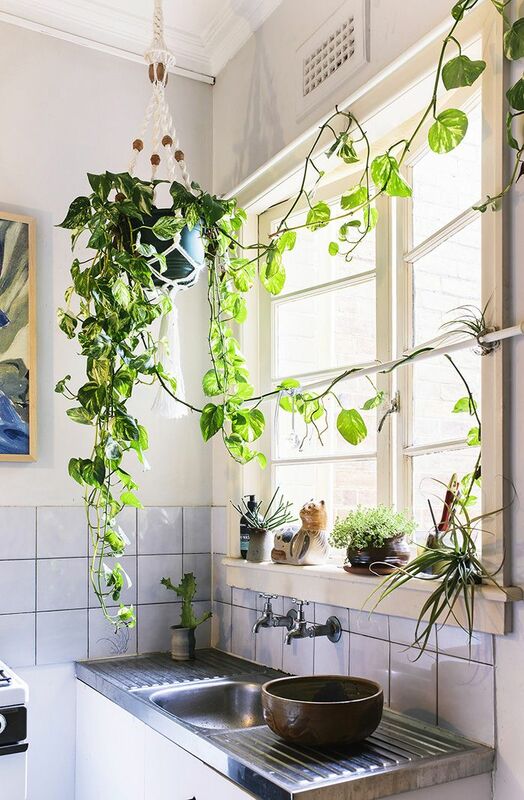 Adding a couple of pretty potted plants in the bathroom instantly warms up the space, as seen in the picture above. Plants offer a lot of surprising benefits too. 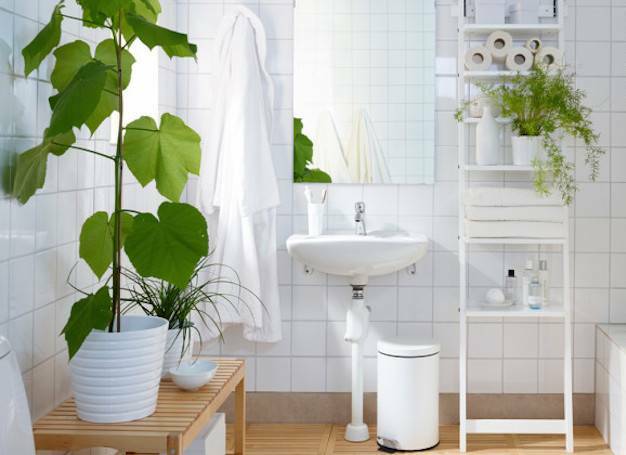 Apart from improving the look of the bathroom, plants boost mood and increase creativity. For bathroom plants, always consider the amount of sunlight that the space receives. Plants that love shade or low light are perfect for the bathroom. Check out our recos here. When it comes to displaying options, you can go for classic clay pots or suspended baskets, etc. You can place the plants near the tub, arranged on shower shelves or in a neat line, sitting pretty on a windowsill. 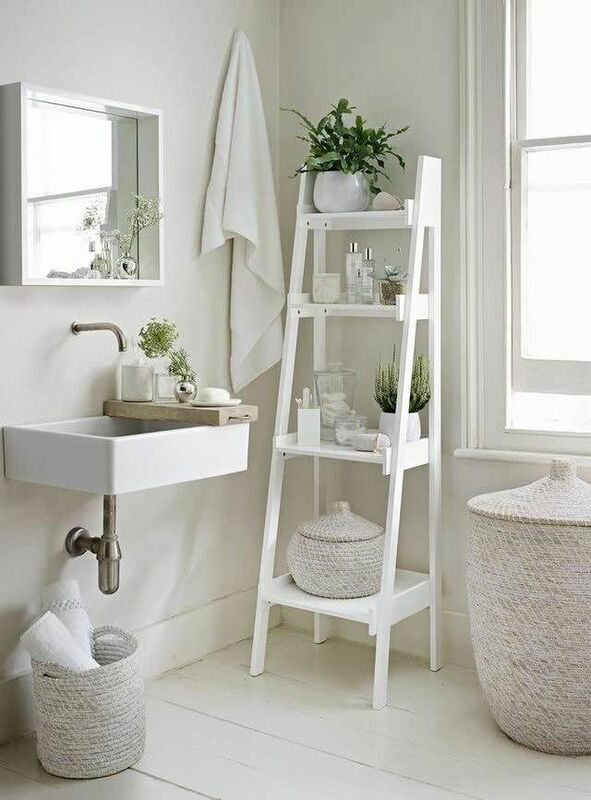 You can also use a freestanding bathroom shelf or a shower caddy to showcase your plants. Brighten the kitchen with houseplants! As the temperature drops, a pop of cheerful green adds a bit of color in the kitchen. Sure, the kitchen isn’t exactly the best place for growing plants, the tough environment could be too much for some variety of plants. However, hardy plants that could tolerate fluctuating temperatures and humidity levels will do well in the kitchen. Here’s a list of plants that won’t die on you. We also recommend growing herbs and fragrant plants in the kitchen. Beyond prettifying the kitchen, these plants will come in handy while cooking.